This limited run Blue Tactical Response TR-3 SWAT has a DLC black finished 154-CM stainless steel blade with a plain cutting edge. The blue anodized aluminum handle has grooves milled on the front face, while the back face is smooth with a tip-up carry pocket clip. The hardware, push button and clip are black finished. The TR-3 is a knife that won't let you down. It fires hard, locks up like a rock and feels great in hand. The slim design sits comfortably for pocket carry. 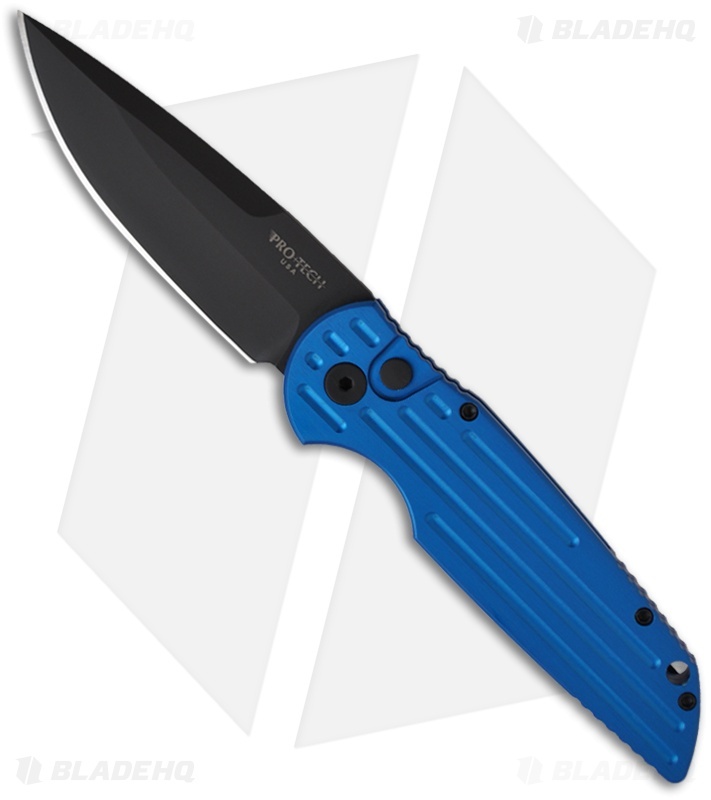 Protech TR-3 Anodized in Ben Blue! The Protech TR-3 in Ben Blue what more can you ask for! 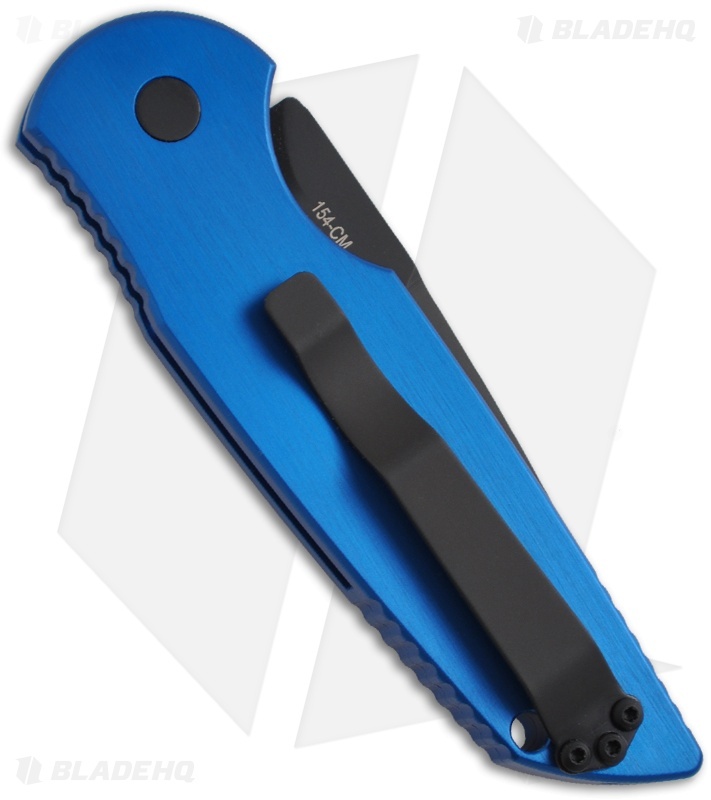 This knife is incredible for the pricepoint, it’s affordable but has exceptional quality. The knife is the perfect size not too big or small. The knife is snappy and has lightning quick deployment. It is very secure and can only be deployed with the button and can’t be opened by pulling on the blade. The anodized handle is awesome. The pocket clip leaves something to be desired but since it’s a 3 hole pattern pocket clip it incredibly matches Benchmade so I put a deep carry Benchmade pocket clip on and it now is the perfect knife. Good job protech on making such an affordable and amazing knife. It is worth every penny!